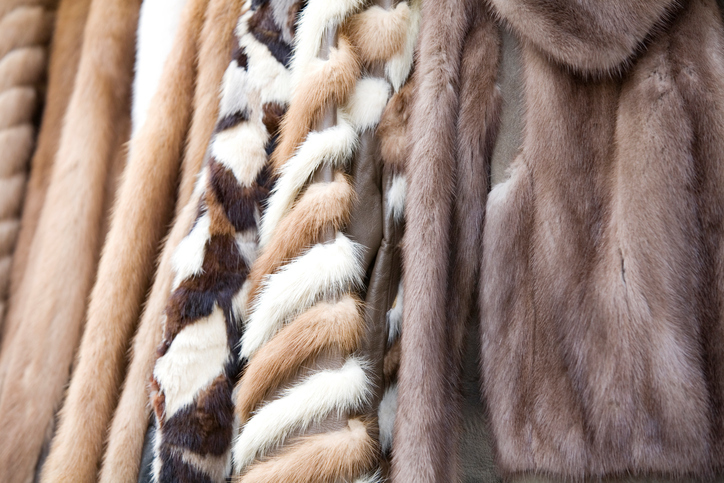 Are you a casual fur wearer, or do you keep up with the cutting edge of fashion? If you’ve never paid attention to the latest trends, now may be the right time to start. The fur trends for winter of 2018-19 include some forward-thinking, eye-catching looks, but they also have some elements that are imminently translatable into your everyday fur-wearing. Stripes are a major force this year. What’s new about this is that designers are forgoing printed stripes and choosing to make the most of fur’s natural shading. This equates to lush, gorgeous depth: silver and blue fox alternated, diagonal bands of plucked mink on sheared mink, and fox jackets made in waves that show streaks of the lighter-colored underfurl. These beautiful stripes come in all sorts of styles, from bold to subtle, making them extremely wearable. Intarsia uses a knitting technique to make patterns. It’s a much-loved concept, but this year, designers are taking it in a new direction. Where in previous years we’ve seen a number of literal motifs, 2018 is all about the abstract and organic. By bringing into play the balance between intricacy and simplicity found in nature, designers are able to underscore fur’s natural This means eye-catching statement pieces you are eager to wear. Contrast is king. In home design, we’re seeing a lot of eclectic pairing of styles with the juxtaposition of textures and tones, creating a look that’s as interesting as it is aesthetically pleasing. The same thing is happening with furs as designers combine contrasting materials, combining mink and fox with everything from wool to metallic fabrics. Details are back. This trend, which brings to mind the fur-trimmed pieces of the ‘50s and ‘60s, has the fresh new aspect of unexpected pairings. Think mink cuffs on leather shorts, mink ruffle peplums on tops, lace boots with mink trim or fox pockets on a classic coat. A classic fur collar on a sweater or fur cuffs on an unexpected piece can be fabulous. Fox trim has reached new heights of glam. In 2018, fox cuffs and lapels are often voluminous and dramatic. Made in striking contrasting colors, these “more is more” oversized statement pieces are glamorous and stunning and can add a “wow” factor to your wardrobe. Street style has made it to the runway. Whether it’s mixing high and low, checks and florals, or sportswear and couture, the tricks of the street have made it to the runway. Think denim jackets and hoodies in fox and mink or fur on strappy tops, and you’ll understand why these pieces were made to be worn every day. 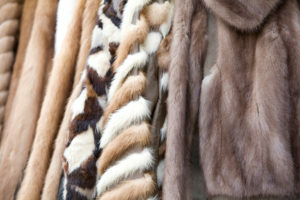 At Andriana Furs, a full-service salon, we pride ourselves on offering the highest quality furs at incomparable prices. Our dedicated staff has the knowledge, tools and hands-on experience to give you exceptional insight into the world of fur fashion so that you can truly enjoy fur ownership. We’re proud to have been Chicago’s number-one furrier since 1987, and with every season, we continue to earn that title, providing the finest quality, style, value and services to meet our customers’ needs. To learn more about us, browse our website, visit our showroom or give us a call at (773) 779-7000 today.